Juanita Sue (Melton) Dunegan Wooten, 74, passed away Saturday July 8th, 2017 at UAMS of Little Rock. She was born April 6th, 1943 in Cushman, Arkansas. She was a member of the Cushman Assembly of God Church. She enjoyed working in the yard, getting her hands dirty was her passion. She also enjoyed cooking and was known for her peach and chocolate fried pies. She was an Elvis fan, and she enjoyed spoiling her grandkids. She was preceded in death by her parents Willie Melton and Bessie (Grigsby) Melton; and her husband Miles Wooten. 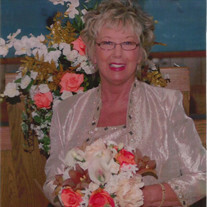 She is survived by one son, Jody Dunegan and his wife Katherine; one brother, Dean Melton; two sisters, Ida Rawlings and her husband Norman and Vicki Moffitt and her husband Mike; five grandchildren, Jace Dunegan and his wife Kali, Julee Dunegan, Jill Dunegan, Ryley McCuiston, and Colin McCuiston; one great-grandson Jaxon Dunegan; and a host of nieces, nephews, church family, and friends. A memorial service is scheduled for July 29th, 2017 at 10 AM at the Cushman Assembly of God Church. Honorary Pallbearers include her grandchildren, Jace Dunegan, Julee Dunegan, Jill Dunegan, Ryley McCuiston, Colin McCuiston, as well as, Tim Tyler, and Joe Grigsby. In lieu of flowers donations may be made in memory of Ms. Juanita to Cushman Assembly of God Church P.O Box 7, Cushman, AR 72526 or Reeves Cemetery Fund, 34 Locust Street, Melbourne, AR 72556. Cremation arrangements have been entrusted to Willis Funeral Service of Batesville.